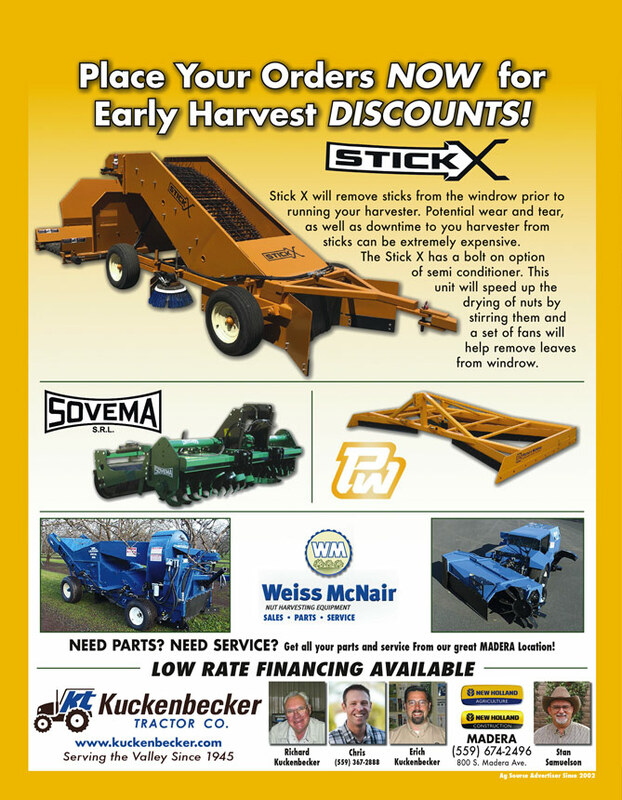 Kuckenbecker Tractor Co. » Early Harvest Discounts! Place Your Orders NOW for Early Harvest DISCOUNTS! Stick X will remove stick from the window prior to running your harvester. Potential wear and tea, as well as downtime to your harvester from sticks can be extremely expensive. The Stick X has a bolt on option of semi conditioner. This unit will speed up the drying of nuts by stirring them and a set of fans will help remove leaves from window. Also see our Weiss McNair, Sovema and Porters Equipment in our store!